The mobile app will be your friend! Use SmartScan by hitting the green camera icon. This will capture an image and send it to our servers for record keeping and data capture. You don’t have to keep the app open, just let SmartScan do its thing. If you make an online purchase, you can forward your receipt to [email protected] to start the smartscan process. If your expenses are on your computer, you can also upload from the web app. You can drag and drop multiple receipt images directly from your desktop/gallery into the Expensify window to upload. If you use a personal card for your expenses, you may be able to add your card to your Expensify account under Account Settings > Credit Card Import. This will import all posted card expenses on a daily basis. 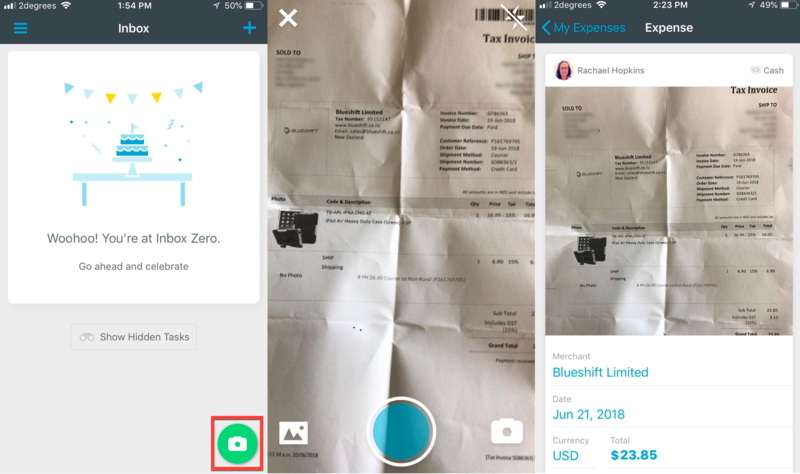 These expenses will merge with the SmartScanned receipt (above) to create a credit card transaction + receipt, ready for reimbursement. You can delete your personal expenses or put them on a Report with the Policy set to ‘(none)’ to keep them separate from your business expenses. ‘Business’ cards may not qualify for a commercial card feed from your bank, but you still want to capture them. You can use the method above, but you won’t have any personal expenses to separate out. This is a whole different kettle of fish and you can learn more here. These cards are controlled by a Domain Admin, not the individual user, but the expenses will still merge with the SmartScanned receipt to create a credit card transaction + receipt, ready for reimbursement. You can also import a CSV of transactions prepped outside of Expensify, whether it’s a download from your bank or some other software.